This riveting, myth-destroying book reveals how, contrary to popular belief, humankind has become progressively less violent, over millenia and decades. Can violence really have declined? The images of conflict we see daily on our screens from around the world suggest that this is an almost obscene claim to be making. And wasn't the twentieth century the most devastatingly brutal in history? 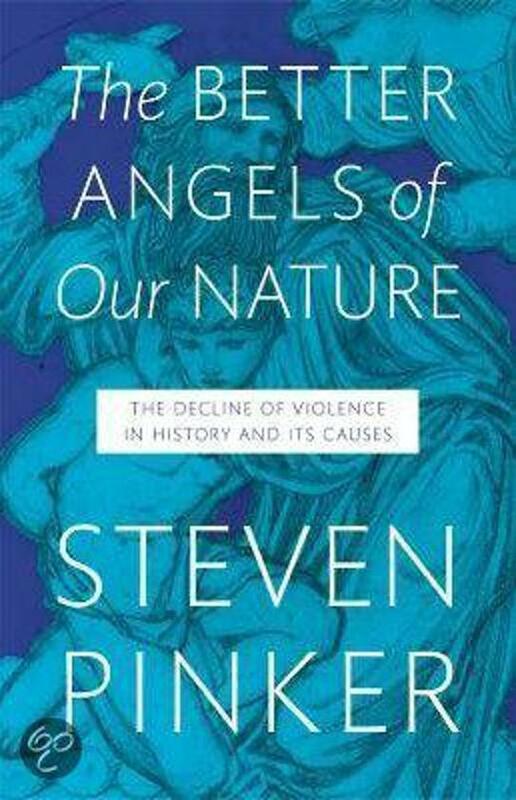 Extraordinarily, however, as Steven Pinker shows, violence within and between societies - both murder and warfare - really has declined from prehistory to today. We are much less likely to die at someone else's hands than ever before. Even the horrific carnage of the last century, when compared to the dangers of pre-state societies, is part of this trend. Debunking both the idea of the 'noble savage' and an over-simplistic Hobbesian notion of a 'nasty, brutish and short' life, Steven Pinker argues that modernity and its cultural institutions are actually making us better people. He ranges over everything from art to religion, international trade to individual table manners, and shows how life has changed across the centuries and around the world - not simply through the huge benefits of organized government, but also because of the extraordinary power of progressive ideas. Why has this come about? And what does it tell us about ourselves? It takes one of the world's greatest psychologists to have the ambition and the breadth of understanding to appreciate and explain this story, to show us our very natures. This radical reassessment of human progress is destined to become the most controversial and famous book Steven Pinker has ever written. The Better Angels of Our Nature is not a call for complacency. We have only come this far by refusing to accept the brutal excesses of our ancestors. And only by understanding the progress that we have made - and the setbacks that have befallen us along the way - can we learn how to prevent the violence that still besets us.